At Ray Linge we always have stalls available for hire. 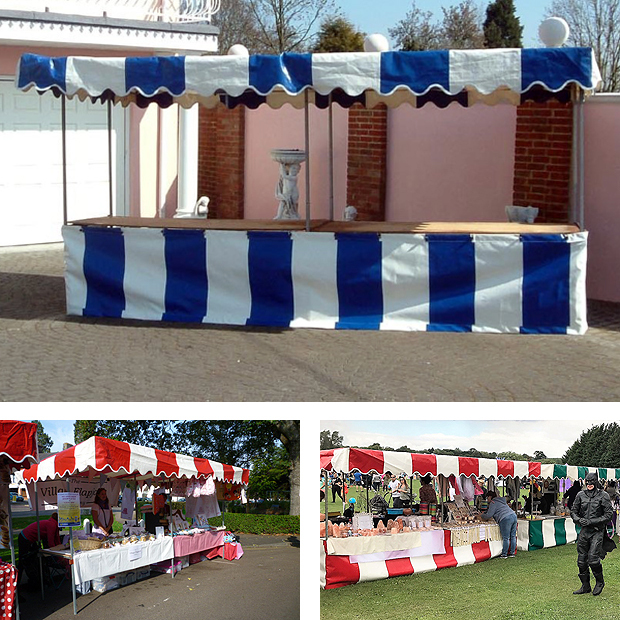 We can supply a standard show stall which consists of a table area of 7ft x 3ft and a roof area of 7ft x 7ft giving 2ft overhang at the back and front of the stall. We also provide a heavy duty stripe cover that is fitted by our experienced staff. Our hire price includes delivery to site, erection and removal, all you have to do is tell us where you require the stalls. This takes all the stress away from running an event, leaving the hard work to us.